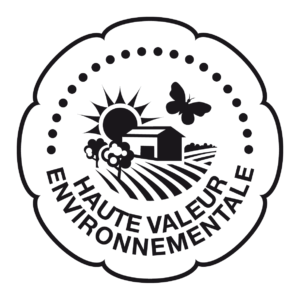 After one year of preparation we are very proud to announce that we have just obtained the HIGH ENVIRONMENTAL VALUE (HVE) certification ! Follow us on our Facebook Page ! Domaine de Tara is ideally situated in the heart of the beautiful Luberon Regional Natural Park, one kilometre north-west of Roussillon, and facing the Monts du Vaucluse, Mont Ventoux and the village of Gordes. The vineyard is situated within the AOP Ventoux area (‘Appellation d’Origine Protégée’). It is planted on an east-facing hillside at 250m above sea level. In the midts of the vineyard is the Mas de Tara, the estate’s beautiful house. Patrick and Michèle Folléa are always delighted to welcome you to their vineyard ! Tara produces 45% white wine, 45% red wine and 10% rosé. Over the years its wines have attracted prestigious awards and glowing reviews.